An Israeli Jew has received an 11-year prison term for the attempted murder of another Jewish man who he mistakenly thought was an Arab. An “inner voice” allegedly guided him to “find and kill an Arab” in revenge for “terror attacks” by Palestinians on Israelis. The Haifa District Court on Monday rejected the insanity plea from Shlomo Haim Pinto, 32, who had earlier confessed to an attempted “revenge” attack. Pinto, a resident of the northern Israeli city of Kiryat Ata, was sentenced to 11 years in prison after he was convicted in December of attempted murder and possession of a weapon with intent to carry out a racist killing. On October 13, 2015, Pinto, armed with a kitchen knife, a box cutter, and a hammer, walked into a local supermarket where he alleged he would be able to find his Arab victim. But instead of finding an Arab, Pinto stabbed his fellow Jewish countryman. 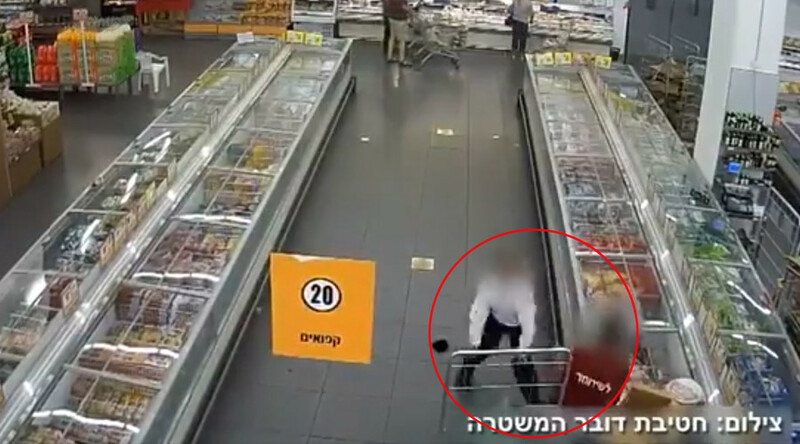 Uri Razkan, a Jewish employee at Supersol supermarket in Kiryat Ata, was stabbed several times in the waist, the lower back, and the shoulder. The victim survived. In court Pinto confessed to the attack claiming he was guided by an “inner voice” that told him to perform a “mitzvah,” a good deed done from religious duty, Haaretz reported. According to the court’s documents, by killing an Arab the defendant thought “there would be greater mercy for the Jewish people and he would advance the redemption” of the nation in the eyes of God. Besides being sentenced to a lengthy prison term, Pinto was also ordered to pay is victim 50,000 Israeli shekels ($13,600) for the injuries caused. The attack by Pinto took place at the peak of a wave of stabbing attacks carried out by Palestinian youths against Israeli security forces and Jewish civilians. Since the latest outbreak of violence in October 2015, some 252 Palestinians, 41 Israelis, two Americans, a Jordanian, an Eritrean and a Sudanese have died, according to an AFP tally.